Books | Pray for Revival! A wooden box containing one of the most valuable books in the world arrives in Los Angeles on October 14, 1950, with little more fanfare—or security—than a Sears catalog. Code-named “the commode,” it was flown from London via regular parcel post, and while it is being delivered locally by Tice and Lynch, a high-end customs broker and shipping company, its agents have no idea what they are carrying and take no special precautions. The widow of one of the wealthiest men in America, Estelle Betzold Doheny is among a handful of women who collect rare books, and she has amassed one of the most spectacular libraries in the West. Acquisition of the Gutenberg Bible, universally acknowledged as the most important of all printed books, will push her into the ranks of the greatest book collectors of the era. Its arrival is the culmination of a 40-year hunt, and she treasures the moment as much as the treasure. Estelle’s pursuit of a Gutenberg began in 1911, when she was a wasp-waisted, dark-haired beauty, half of a firebrand couple reshaping the American West with a fortune built from oil. Now 75, she is a soft, matronly figure with waves of gray hair. The auspicious occasion brings a flash of youth to her face, and she is all smiles. But she resists the impulse to rip into the box, leaving it untouched overnight so she can open it with appropriate ceremony the next day. Estelle has invited one of her confidants, Robert Oliver Schad, the curator of rare books at the Henry E. Huntington Library, to see her purchase, and at noon he arrives with his wife, Frances, and their 18-year-old son, Jasper. Estelle’s secretary, Lucille Miller, escorts the family through the mansion’s Great Hall to the library, and with a sweep of her hand invites the group to sit at the oblong wood table in the center. The Book Room, as Estelle affectionately calls it, is finished in rich redwood and had been her husband’s billiard parlor. Its walls had once featured paintings related to Edward Doheny’s petroleum empire, murals commissioned by the onetime prospector who drilled some of the biggest gushers in the history of oil. Today the room is lined with custom-built shelves for Estelle’s beloved books—her own personal empire, worth as much as Edward’s oil. Her collection began almost as a lark, sparked by popular lists of books that everyone should own, but now contains nearly 10,000 exceedingly rare volumes available only to the fabulously wealthy and culturally ambitious—gilded illuminated manuscripts glowing with saints and mythical creatures; medieval encyclopedias; and the earliest examples of Western printing, 135 incunabula—books printed before the year 1501. Such seminal works of Western culture as Cicero’s De officiis and Saint Thomas Aquinas’s Summa Theologica rub shoulders with a sumptuous 1477 copy of The Canterbury Tales. This is the million-dollar company the Gutenberg Bible will keep on its shelf. The two-by-three-foot crate waits at the center of the table, spotlighted by a bronze-and-glass billiard lamp. When Estelle enters the room, accompanied by her companion and nurse, Rose Kelly, the group stands silent. Lucille takes out a pair of scissors and passes it around. Estelle, dressed for the occasion in a pale blue printed silk dress, a gem-studded comb at her right temple, wants everyone to take part, so each person makes a cut in the knotted cord that winds the package. The price of the book when it left the printer’s workshop was believed to be about thirty florins, equivalent to a clerk’s wages for three years.But as she lifts it out of the last of the wrappings, the Bible appears to be fine. For an expert like Robert Schad, there is no mistaking the original 15th-century binding of age-darkened brown calfskin stretched over heavy wood boards. The copy now in Estelle Doheny’s possession is the first issue of the first edition of the first book printed with movable metal type, in near-pristine condition, its pages fresh and clean. The lozenge and floweret patterns stamped into the leather cover are still sharp and firm to the touch. Five raised metal bosses protect the covers, one ornament in the center and one set in an inch from each of the four corners. Two broken leather-edge clasps are the only reminders that this book, which has presented the Living Word for nearly five centuries, has been opened and closed often enough to wear down the heavy straps. Lucille moves close to her employer, standing on her left and tucking her arm under the spine of the heavy book so that Mrs. Doheny can more easily examine it. Estelle reaches out to touch the fine old leather and slowly lifts the cover and opens the enormous volume. With her gold-framed glasses perched on the edge of her nose, she glides her right hand softly over the edges of the book’s rippling leaves, taking special care not to touch the print. As she turns the crackling pages one by one, she is overcome with quiet joy. Her pursuit of this object of Western invention had begun long ago, during happier days, before her husband was embroiled in scandal. She feels the smoothness of the heavy rag paper under her fingers and strains to focus her gaze on the black Gothic letters, but the Latin text is lost in a cloudy blur and she can’t make out the printed lines. A hemorrhage in one eye and glaucoma in the other have left Estelle almost completely blind at the age of 75. Still, she knows well what she possesses, and just to be in its presence would be stirring to anyone who understands its significance. The European advancement of printing with movable metal type transformed every aspect of human civilization, and Johann Gutenberg’s execution of the work set a standard that few would match. As Estelle runs her hands over the book, Schad, a poised man of medium build who’s dressed today in a black suit and tie with a crisp white shirt, points out a few of the qualities that make it unique. Every Gutenberg Bible is somewhat different from every other because while Gutenberg’s workshop printed the pages of each massive volume, the printers left it to the purchaser to have them bound and decorated. Guided by the owner’s taste and budget, a whole team of artisans might step in to customize the book—illuminators would be hired to paint the highly pictorial ornamental letters, and specialists known as rubricators added chapter titles and headings separate from the text. The first owner of this Bible had not scrimped on ornamentation. The volume is filled with elaborate, richly colored illuminations and enlarged capital letters. “If Christianity is to receive a rejuvenation, it must be by other means than any now being used. If the Church in the second half of this century is to recover from the injuries she suffered in the first half, there must appear a new type of leader. The proper, ruler-of-the-synagogue type will never do. Neither will the priestly type of man who carries out his duties, takes his pay and asks no questions, nor the smooth-talking pastoral type who knows how to make the Christian religion acceptable to everyone. All these have been tried and found wanting. ~A.W. Tozer, The Size of the Soul, 128-129. Revival is the need of the hour. All true Christians long for and pray for revival. Without sweeping revival we are in very dire straits. And it is certainly true that we NEED revival far more than what we need to read about revival. But offering helpful works on revival can help us to get more of a hunger and a thirst for genuine revival. So there is a place for offering some key titles on this subject. Indeed, there are many thousands of books which could be offered here. I will be much less ambitious, and only present a few select titles. 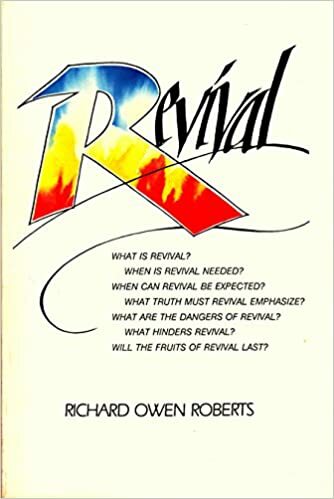 There are of course all sorts of general books about the various great revivals and awakenings which are not included here, nor the biographies of the main players, such as Whitefield or Wesley or Edwards, etc. He worked with the Billy Graham Association and Wheaton College in the formation of the Billy Graham Center Library. His own private collection of some 9,000 volumes relating to movements of religious revival provides the nucleus of the Graham Center Library. From his youth, Mr. Roberts has been a student of spiritual awakenings. He has authored, edited and/or published numerous volumes relating to revival and revivalism. Given that his own library has 9000 volumes on revival, he is the one to turn to if you want a much larger listing. But if you want a much briefer selection, these books should be of use. I have divided them into two main sections: nearly 30 general works on revival, and then ten volumes on the incredible Welsh revivals. Backhouse, Robert, Spurgeon on Revival. Kingsway, 1996. Davies, R.E., I Will Pour Out My Spirit. Monarch, 1992. Dixon, Patrick, Signs of Revival. Kingsway, 1994. Drummond, Lewis, Eight Keys to Biblical Revival. Bethany House, 1994. Duewel, Wesley, Revival Fire. Zondervan, 1995. Edwards, Brian, Revival: A People Saturated With God. Evangelical Press, 1990. Finney, Charles, Lectures on Revival. 1835. Hansen, Collin and John Woodbridge, A God-Sized Vision: Revival Stories that Stretch and Stir. Zondervan, 2010. Hill, Stephen, Time to Weep. Creation House, 1997. Kaiser, Walter, Revive Us Again. Christian Focus, 2001. Lloyd-Jones, Martyn, Revival. Crossway, 1987. Murray, Iain, Pentecost Today? The Biblical Basis for Understanding Revival. Banner of Truth, 1998. Murray, Iain, Revival and Revivalism. Banner of Truth, 1994. Orr, J. Edwin, The Eager Feet. Moody, 1975. Orr, J. Edwin, The Flaming Tongue. Moody, 1973. Orr, J. Edwin, Full Surrender. Marshall, Morgan and Scott, 1951. 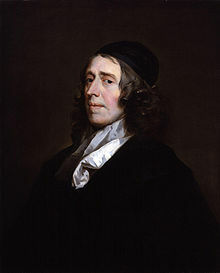 Orr, J. Edwin, The Second Evangelical Awakening. Marshall, Morgan and Scott, 1949. Pratney, Winkie, Revival: Its Principles and Personalities. Huntington House, 1994. Ravenhill, Leonard, Revival God’s Way. Bethany House, 1983. Ravenhill, Leonard, Revival Praying. Bethany House, 1962, 2005. Ravenhill, Leonard, Why Revival Tarries. Bethany House, 1959. Roberts, Richard Owen, Revival. Tyndale, 1982. Smith, Timothy, Revivalism and Social Reform. Abingdon, 1957. Stibbe, Mark, Revival. Monarch, 1998. Turnbull, Richard, Reviving the Heart: The Story of the 18th Century Revival. Lion, 2012. Warner, Rob, Prepare for Revival. Hodder & Stoughton, 1995. Whittaker, Colin, Great Revivals. Marshalls, 1984. Wright, Fred and Sharon, The World’s Greatest Revivals. Destiny Image, 2007. Evans, Eifion, Revival Comes to Wales . Evangelical Press of Wales, 1959. Evans, Eifion, The Welsh Revival of 1904. Evangelical Press of Wales, 1969. Gibbard, Noel, Fire on the Altar: A History and Evaluation of the 1904-1905 Revival. Bryntirion Press, 2005. Jones, Brynmor, Voices from the Welsh Revival 1904-1905. Evangelical Press of Wales, 1995. Matthews, David, I Saw the Welsh Revival. Moody Press, 1951. Paisley, Ian, The 59 Revival. Martyr’s Memorial Free Presbyterian Church, 1958. Phillips, Thomas, The Welsh Revival . Banner of Truth Trust, 1860, 1989. Railton, Nicholas, Revival on the Causeway Coast. Christian Focus, 2009. Randall, Ian, Rhythms of Revival: The Spiritual Awakening of 1857-1863. Authentic Media, 2010. Roberts, Richard Owen, Glory Filled the land: A Trilogy on the Welsh Revival (1904-1905) [H. Elvet Lewis, C. Campbell Morgan, I.V. Neprash]. International Awakening Press, 1989. ~ Fred A. Hartley III, Prayer on Fire, 21. ~ Ray Ortlund, The Gospel, 90. ~ Richard Owen Roberts, Revival, 16-17.